The ASUS Chromebook Flip C213-YS02 drives a modest performance that is great for school goers, and it features an awesome durable body that is able to withstand drops and bumps. 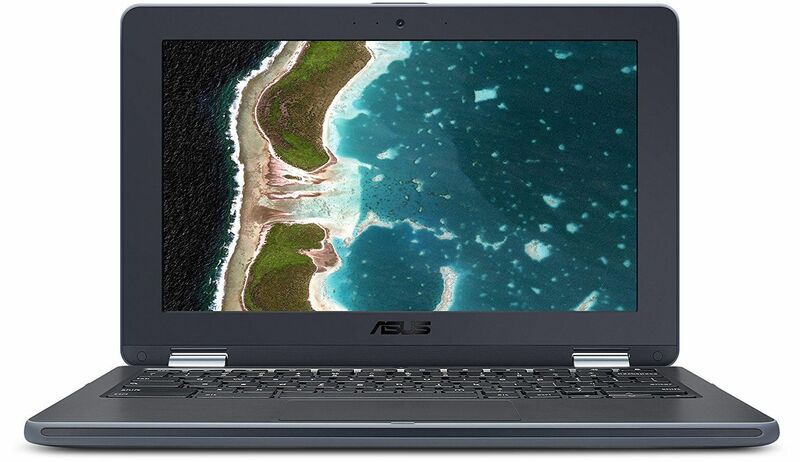 The ASUS Chromebook Flip C213A-YS02 budget 2-in-1 laptop has received positive reviews for its rugged construction that is built to endure knocks and bumps and it is splash proof. Its compact design also makes it highly portable, and it has an all-day battery life. Users found that its touch display is responsive, and it comes with both USB-C and USB 3.0 ports. It’s price is also perfect for those on a lower budget looking for a laptop for school kids and its keyboard is comfortable to use, offering good key travel and feedback. However, it puts out an average performance, making it better suited to basic task handling. The camera quality is also said to be terrible, and the 32GB of storage is incredibly limiting. The ASUS Chromebook Flip is built tough and it is perfect for the rowdy classroom environments or for those who like to travel, but it’s specs are average and you will need to make use of cloud storage due to the minimal storage space. The Asus Chromebook Flip C213SA's highly durable build quality, variety of screen modes and long-lasting battery make it a solid option for young students.